I sat down with Farmer Steve Tomlinson and Jim Nawn, owner of both Great Road Farm in Skillman farm and Agricola, the Princeton restaurant it supplies, to talk about their latest plans and accomplishments. Foremost among them is the Food Barn project, well underway, that will feature its own kitchen and chef and will be the site of on-farm dinners, demos, and other events. I spill the beans here in the July 8 issue of US 1. 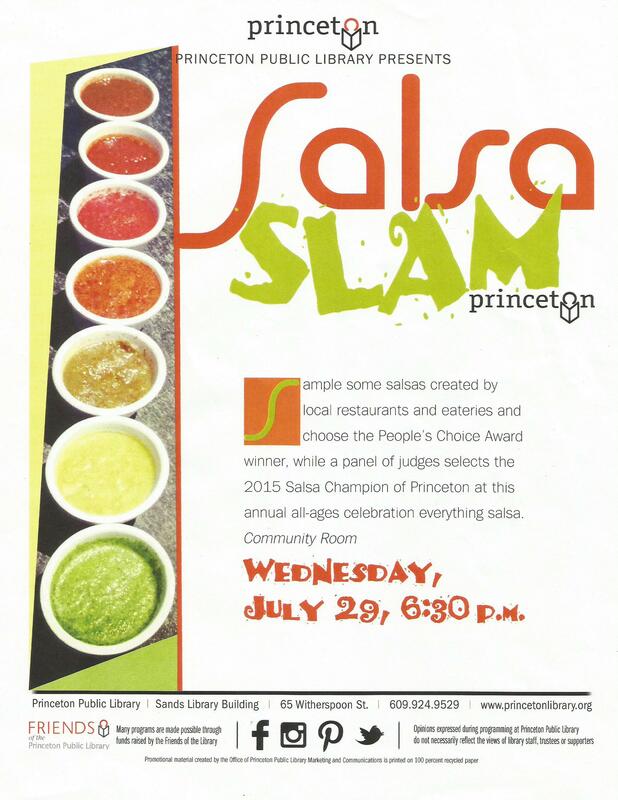 As I have for the past three years, I will be on the panel of judges in the Princeton Library‘s annual fun event, which crowns the local eatery with the best salsa. There’s a People’s Choice winner, too, so come on down this Wednesday night to sample the salsas and vote for your favorite. While you’re there, stop by the judge’s table to say hello – and not just to me, but to the star judge: Gab Carbone of the Bent Spoon, who won the first Salsa Slam. This Thursday, September 4th, I’m participating in Literacy New Jersey‘s Readathon at the Princeton Public Library. At 1 pm, I will read from my favorite (food-related) book for 5 minutes, as part of an all-day event to spotlight adult illiteracy. Did you know that in Mercer County alone, 60,000 adult residents cannot read above a fourth grade level? As someone with a sibling who never learned to read (incredible, I know), this cause is very close to my heart. From 10 to 11 am, children’s books will be featured; from noon to 4 pm, adult books. Please join me! The public is welcome to sign up as readers, too. Phone 609.587.6027 or email vgolden@literacynj.org. David Burke is the celebrity chef (David Burke Fromagerie, etc.) creating a sumptuous farm-to-table menu for what event co-chair Bob Sickles (of Sickles Market) terms a “serious food and wine event with a fun, casual approach.” It takes place on Saturday, September 13 starting at 6:30 pm under a sailcloth tent at the historic Parker Homestead in Little Silver, which is the beneficiary. 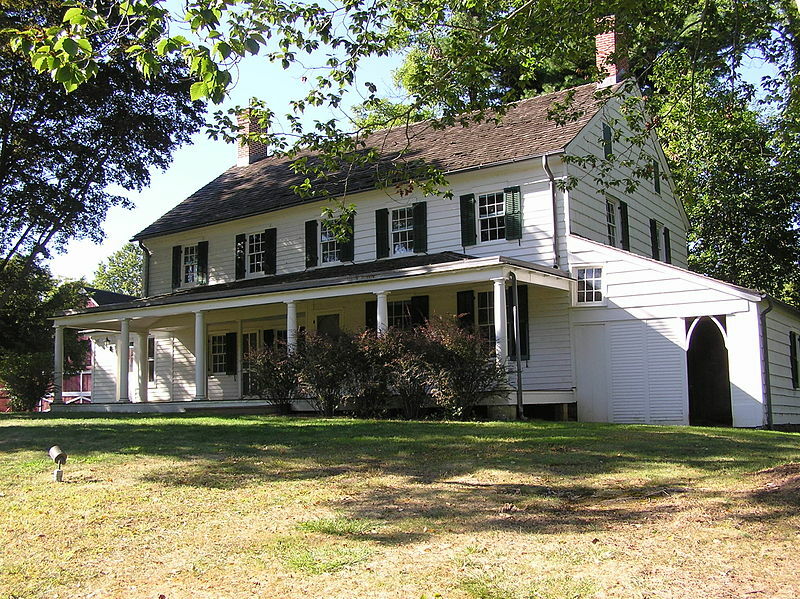 The “elegant casual” evening includes wines from Colts Neck’s 4JGs Vineyard, music, dancing, and a live auction (featuring rare collectible wines) conducted by Antiques Roadshow star Nicholas Dawes. Cocktail Reception: Bacon Clotheslines with Pickled Carrot Garnish; Cheese”burker” Sliders; Quinoa Sliders; Pork Rillettes; Corn Panna Cotta Jars; Pig Trotter Terrine Spiced Apple; House Cured Lardo; Garden Conserva; Country Crostini; Chicken Lollipops. Lusty Lobster Raw Bar: Wild Caught Sandy Hook Bay Clams; Wild Caught Delaware Bay Oysters; Jumbo Shrimp Cocktail; Jonah Crab Claws. Sickles Market Cheese Table: Assorted Farmstead Jersey Cheeses including Long Valley Shepherd, Bobolink Dairy and Cherry Grove. 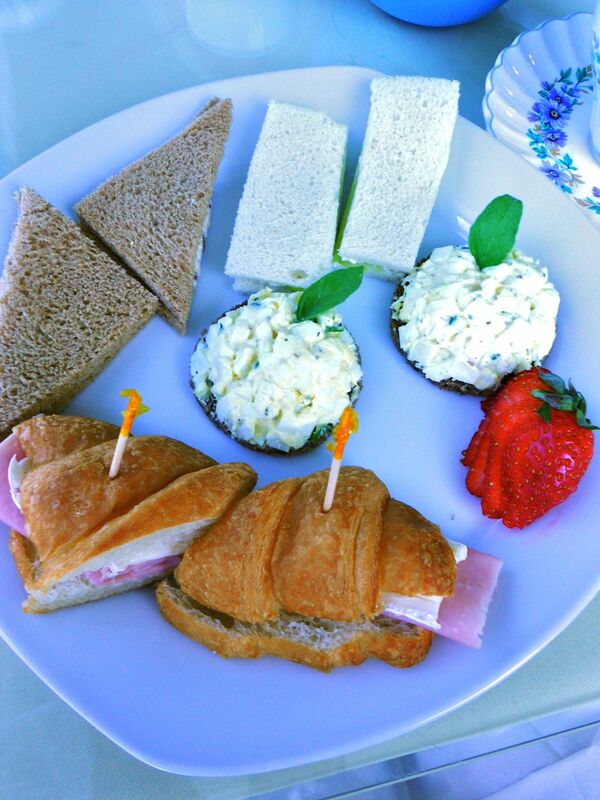 Gourmet accompaniments and fruits. “Local” Salad Station: Organic Kale Caesar Salad; Shaved Brussels Sprouts with Apples; Candies Pecans, Blue Cheese, Dried Cranberries; Fall Market Salad with Fixins’; Tomato Burrata Salad. Fish Station: Barnegat Light Day Boat Scallops, Parsnip, Apple, Chanterelle, and Leek Fondue. Pork Station: Porchetta Carving Station, Pineapple and Mustard Kraut, Quince, Lentils, Roasted Brussels Sprouts and Corn Bread Stuffing, Country Potato Salad. Beef Station: Roast Prime Rib with Au Jus, Horseradish, Crème Fraiche and David Burke Steak Sauce. Pasta Station: House Made Cavatelli, Sheep Milk Ricotta, Butternut Squash. Dessert: Cotton Candy, Smokin’ Hot Doughnuts; Peach Pies. Tickets are $250 and can be purchased at www.AsItGrows.org or by calling 732.462.1466. 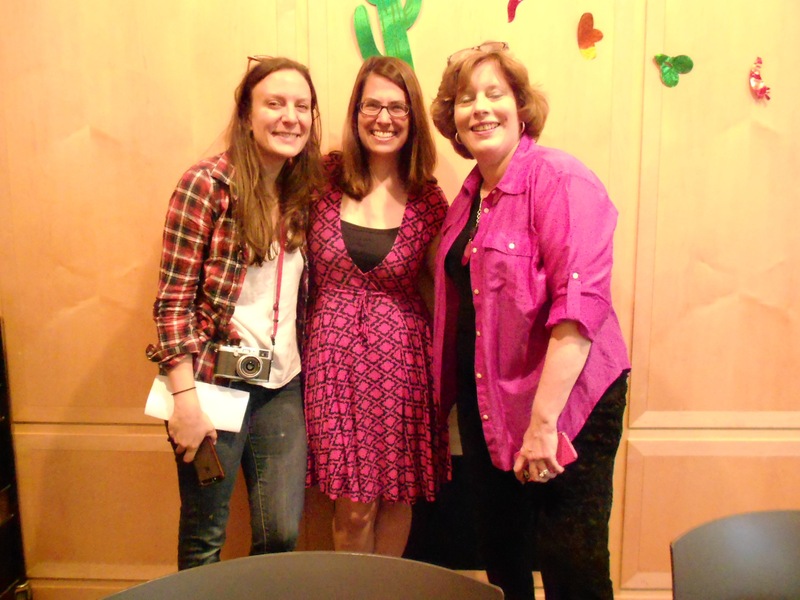 Last month I was a judge at a different event at the Princeton Public Library: it’s third annual salsa contest. Ten area eateries vied for the coveted title of best salsa in this Ivy League town. 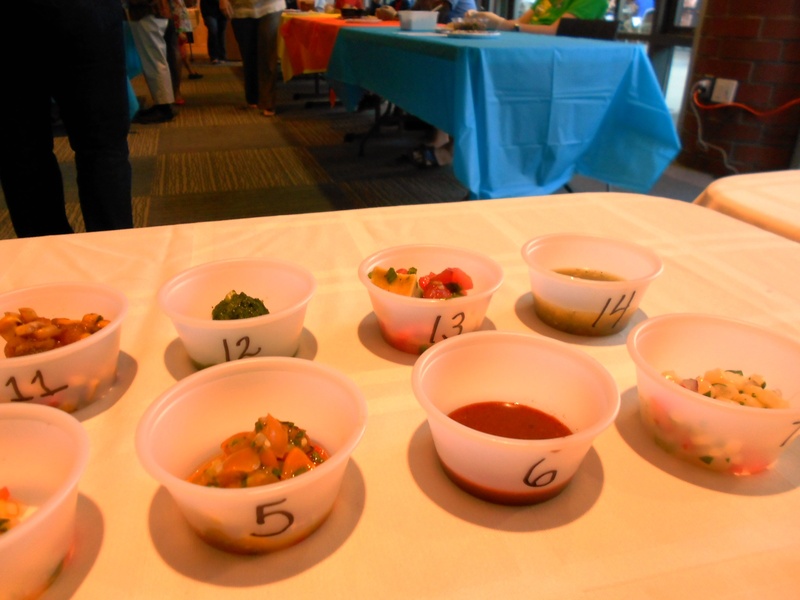 Terra Learning Kitchen (located inside the YMCA) won over us judges with its Salsa Verde with Avocado, while People’s Choice went to Tortuga’s Mexican Village for its classic Secret Family Recipe Salsa. 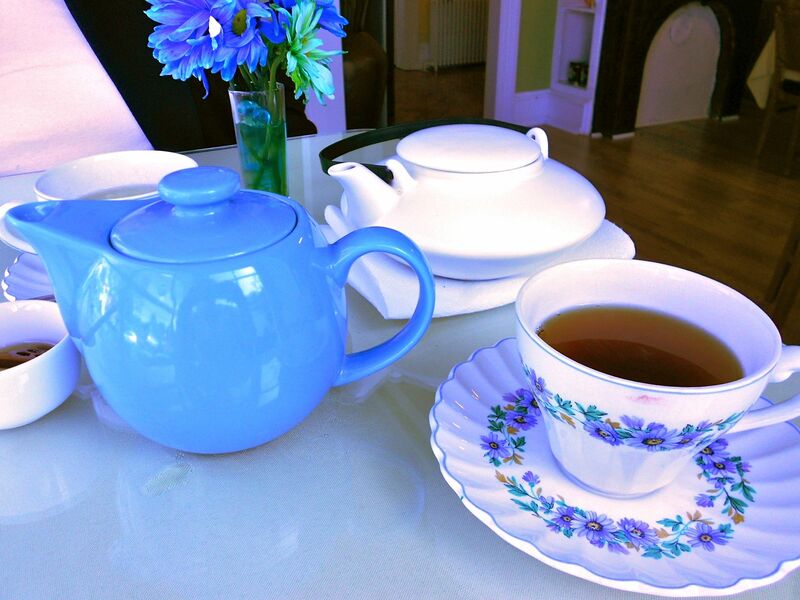 Naturally, I used the occasion to gather recipes for some of my personal favorites. Don’t let the Labor-Day-means-the-end-of-summer hype fool you: there’s plenty of NJ harvest time left to make the following fresh, exciting salsas. The folks at Agricola, Princeton’s popular farm-to-table restaurant kindly shared their intriguing entry, anchored by kimchi and heirloom tomatoes. The mango salsa recipe is courtesy of my friend George Point of Lawrenceville, who won awards for it years ago when he competed on the NJ barbecue cook-off circuit. Combine the onion, jalapeno, juice from 1 lime, and 2 tablespoons of kimchi juice in a small bowl. Cover and let macerate overnight at room temperature. Next day, cut the tomatoes into small dice and chop the cilantro leaves. Mix together the tomatoes, cilantro, and kimchi. Stir in the macerated mixture of onion and jalapeno, and the remaining 2 tablespoons of kimchi juice. Season with salt, cover, and let rest in the refrigerator overnight. Before serving adjust seasoning if necessary with additional salt and lime juice. Puree the mango. Combine all ingredients except cilantro in a small bowl. Sprinkle with cilantro. The views of Manhattan, the open-air porch on the Hudson, the breezy nautical decor all make Battello a natural for catching the last of summer’s fine weather. The modern Italian seafood ain’t bad either. Read the joint report from me and senior editor Eric Levin, in the September issue of New Jersey Monthly. Because my final Princeton Packet column of 2013 ran on December 21st, I decided to ask Princeton-area chefs and food pros what they would choose to eat and drink for their last meal, and who they would want to share it with. Chris Albrecht of Eno Terra, Kingston. My last meal of 2012 would be cheese fondue, one of my favorite winter dishes, especially in front of a fire with some good vodka and great company. I mean classic traditional fondue, made with emmental and gruyere – although the Rosedale from Cherry Grove might make it in there, too. Plus good, crusty bread and vegetables like fried artichokes and broccoli rabe. Apples and Asian pears, mushrooms too. Riesling would have to be a part (in addition to the vodka). This meal may not seem too crazy, but after all the craziness leading up to New Year’s, I’d just as soon have my most comfortable meal. As for who would be there, it would definitely include my daughters and a few other good friends, but once the kids were in bed, the storytelling and reminiscing would be the life of the evening. 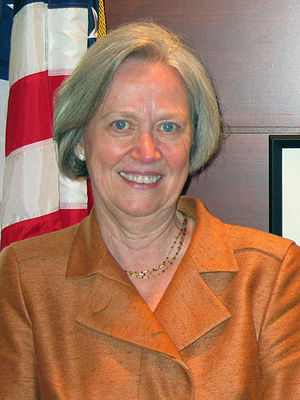 Beth Feehan of the NJ Farm to School Network. For my last meal, I’d wish for my mother’s osso bucco. Her version was to grind up onions, carrots, and celery in a food processor and slow-cook them with lots of garlic. She’d braise the veal shanks with a dusting of flour, salt, and pepper and when browned, add them to the vegetable mixture along with wine and canned tomatoes. Basil, bay leaves, and eventually lemon gremolata rounded it out for one of the most succulent dishes I ever loved, cooked in the oven for hours. It is my favorite meal of all time and if I have to go, this is what I’m asking for to ferry me out. Josh Thomsen of Agricola Eatery, opening in Princeton in early 2013. My last meal on earth would have to be a family-style feast prepared by the people who created the favorite dishes of my life and have meant so much. Since this is the grand finale, I’d want to slow down and taste every morsel. I tend to get excited and eat too quickly, as chefs learn to do out of necessity. The toast before the meal given by Professor Jacques; Bitton Hog Island oysters opened by owner Terry Sawyer; tuna croquettes by Jessica (you know who you are); “steak & eggs” vegan style by Chef Sean Baker; grilled branzino by Chef Geno Bernardo; spaghetti carbonara cooked by my dad; potato latkes cooked by my mom; steak cooked by Italian butcher Dario Checcini; Tres Sabores wine poured by winemaker Julie Johnson; anything Chef Jeff Jake wants to bring (his presence would be enough for me); any dessert by Chef Ed Moro (but I would hope it would be something with chocolate). Everyone would cook and then sit down to enjoy. Gab Carbone and Matt Errico of The Bent Spoon, Princeton. In thinking about what would be our last meal it’s easy to fall into a whirlwind of gluttony. Courses and courses of rare tastes, perhaps? Indulgent sauces, exotic ingredients? Things we haven’t yet tried? All the while chasing – no, hunting – for culinary perfection. While understandable that many might yearn for a bacchanal feast or think of a goose-bump inducing, seemingly never-ending tasting menu from the likes of Thomas Keller, we submit that for our last meal we’d take homemade comfort over goose livers. Nothing seems more satisfying, more fulfilling than the food of our families. The pure food itself, and in particular the food memories created by them is what sustains and nourishes us. It’s the stuff of life! So, we’ll pass on the uni, ortolan, and truffles for this final feast. At the end of it all we know nothing will make us happier than homemade pasta sauces from our Italian-American fathers and sharing with the people we love. Mark Valenza of Za, Pennington. Last Meal Party Planner, since December 21, 2012 will be our last dinner together (according to the Mayans). I’ve been busy getting a jump on the end-of-days meal planning for quite some time now. Just what is appropriate for a Once and Only Occasion? Since money and basic accommodations are no object – it being the end and all – I’ve planned to fly in everybody I’ve ever known and loved…so we will be a party of eight. As for the meal itself, I plan a 21-course tasting menu in honor of The Day. I’ll be serving a 1985 Bollinger Brut Champagne, Grand Cru Classe from the Loire Valley, Languedoc-Roussillon, and Burgundy, and a Pomerol Bordeaux. I’ll enlist my Za servers to serve my guests under the threat that there may be a tomorrow (but I doubt it). I’ll start my dinner with a beautifully caramelized seared foie gras cut into the shape of California. As entertainment I will commission Anthony Bourdain to eat a brick and Rachael Ray to just sit quietly. My dinner will be a progression of culinary classics in miniature: an entire Thanksgiving dinner nestled into a Japanese soup spoon, a clay-oven pizza the size of a quarter served with a salt-rimmed test tube of pepperoni essence, and, for end-of-days expedience, I’ll produce the Christmas Eve seven-course fish dinner layered into one thin slice of multi-colored pate. I’ll amuse my guests with witty restaurant antidotes. “Did I ever tell you about the time Queen Latifah had to have two orders of my goat cheese gnocchi?” Anyway, aside from my scintillating stories, as a parting gift my guest will each receive a leopard Snuggie and a long birch stick. We’ll end it all just as my culinary career began many, many years ago – by toasting marshmallows in the fire. If not, Rachael, Anthony…I love you guys. Before I get to the restaurant stuff, I want to let you know you’ll be getting a second posting from me today. On Monday I composed and thought I had published a post on what restaurants are doing to raise funds for Hurricane Sandy relief. Somehow I forgot to press the “publish” button. I’m blaming that on Sandy. Although I was one of the lucky ones – only 3 days without power, no damage – I have noticed that I’m not multitasking as efficiently as usual. Have you noticed the same? Despite the soft economy, some veteran restaurateurs in Central NJ are adding sibling restaurants to their existing stable. Read my profile of them and their new and forthcoming restaurants in the 2012 Fall Dining Issue of US 1. Among the restaurants: A second Osteria Procaccini, a second PJ’s Pancake House, North End Bistro, Masa Sushi, and Centro Grille. That last, btw, is from the current owner of Acacia in Lawrenceville. Read my review of this ambitious undertaking on an unlikely stretch of that roadway, from the November issue of New Jersey Monthly. An interesting lineup of NJ chefs is cooking up a collaborative feast for a good cause at Scott Anderson’s elements in Princeton. A portion of the proceeds goes to the Stony Brook-Millstone Watershed Association. Taking on one course each are David Felton of 90 Acres, Josh Thomsen of the highly anticipated Agricola, Gabby Carbone of the Bent Spoon, Will Mooney of the Brothers Moon, and Chris Albrecht of Eno Terra. 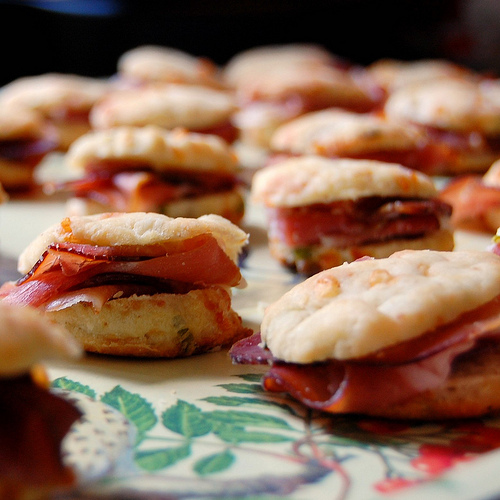 The evening will begin with hors d’oeuvres at 6pm. For information and reservations click here. 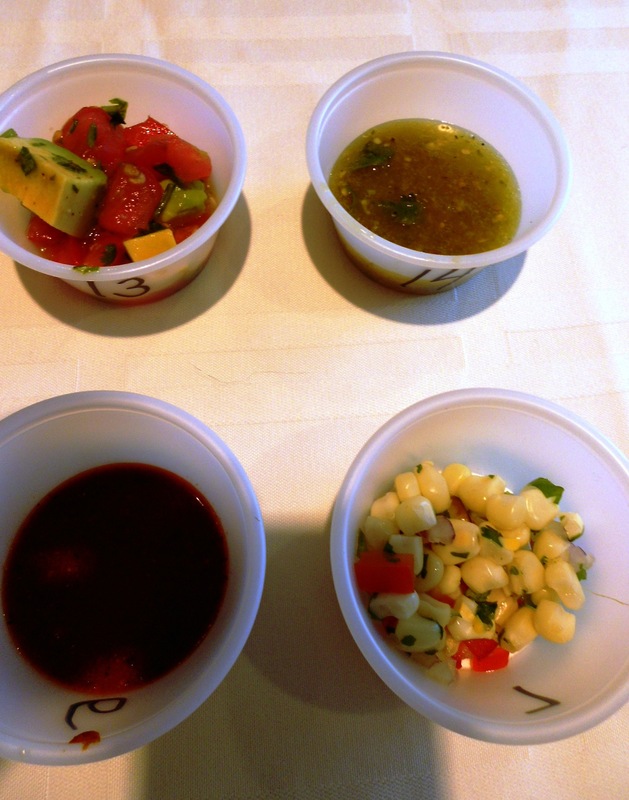 Who could have predicted that a sorbet would win Princeton’s first ever salsa contest? 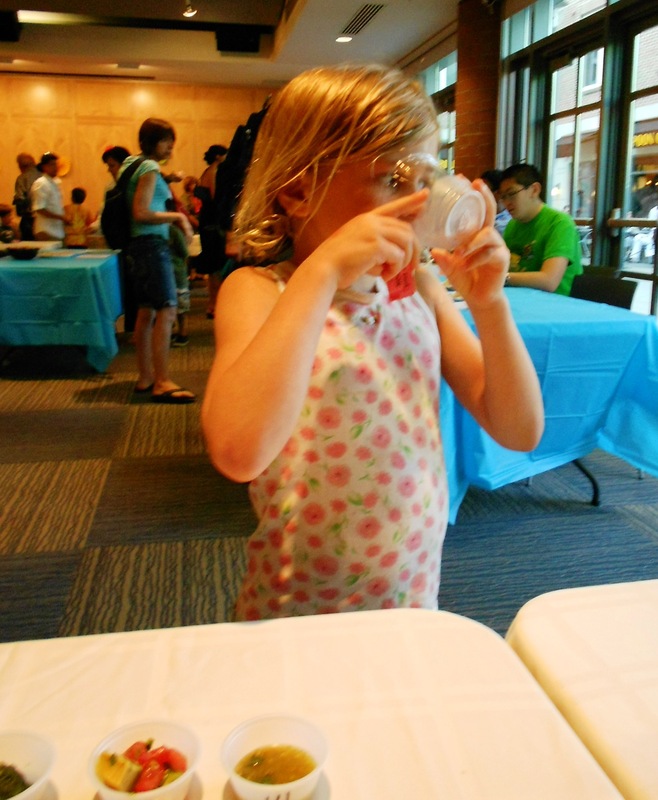 But that frozen concoction from the folks at The Bent Spoon won over us judges from among a strong field of 14 entered in the event held at the public library. The pale pink “taco sorbet” had all the flavors and zest you expect in salsa – but in a creative and unexpected form. 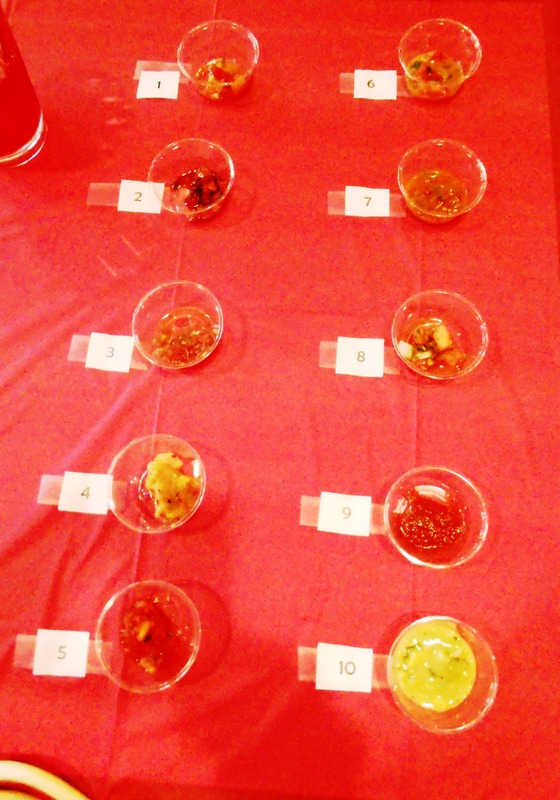 I and my fellow judges had a tough time deciding, as did the public. Only 3 votes separated the People’s Choice winners, with Olives just squeaking past Eno Terra. Above are Dorothy Mullen of the Suppers Program and Judith Robinson of Our World, Our Choice. Not pictured is Sue Gordon, whose blog is FoodNetworkMusings. And the young lady below came over to me begging for water after sampling a particularly zingy entry. 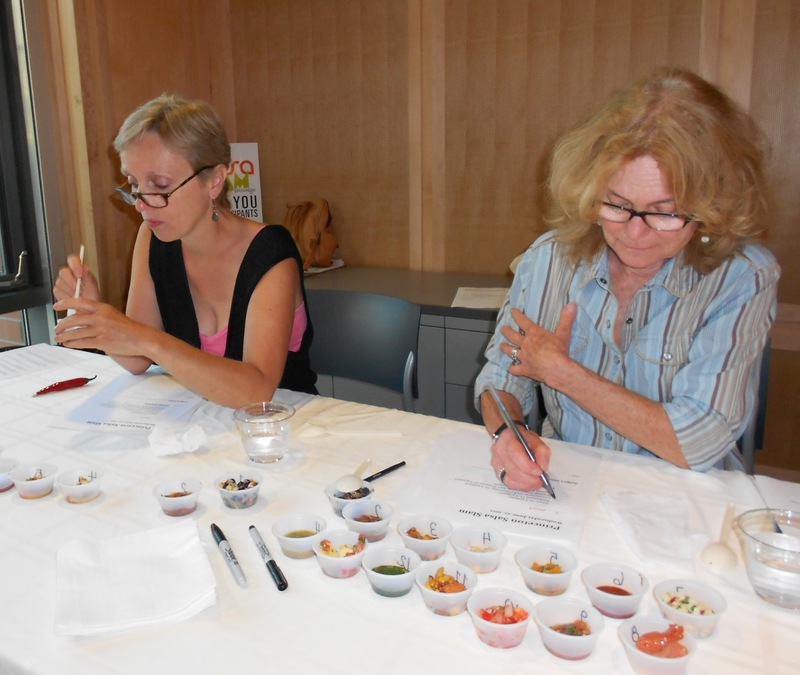 Not just salsa of the edible kind was featured at the event. 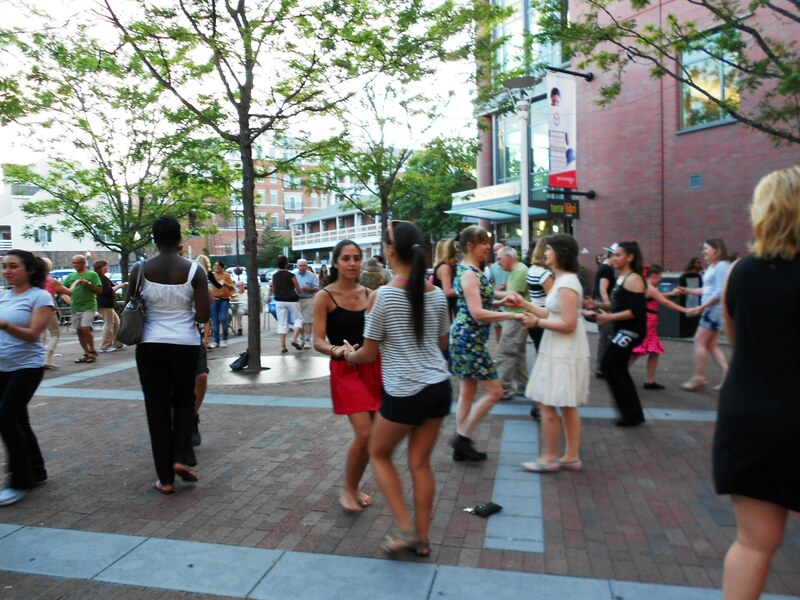 There was lively dancing on the plaza as well. Totally fun; I hope they do it again. Serious Eats recently listed their picks for top hot dog relishes in the US and guess what? Two of the 14 hail from NJ! Congrats to Grandma Fencz’s Hungarian Onion Sauce (at Charlie’s Pool Room in Alpha) and Rutt’s Hutt Relish (Clifton). I feel compelled to add a third: First Field’s, bringing my personal NJ total to 3. Unfortunately, First Field’s is currently out of stock. The good folks behind it expect to have this year’s batch on the shelves (and at farmers markets) in the coming weeks. 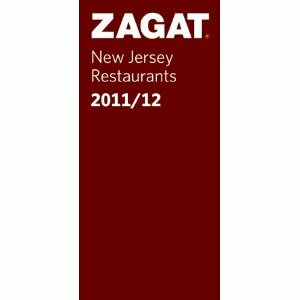 I have been remiss in not reporting that 2 updated Zagat NJ guides are out for 2012/13: the statewide book and Jersey Shore Pocket Guide. (Full disclosure: I am an editor of both.) Among the updates and additions are 21 Key Newcomers. 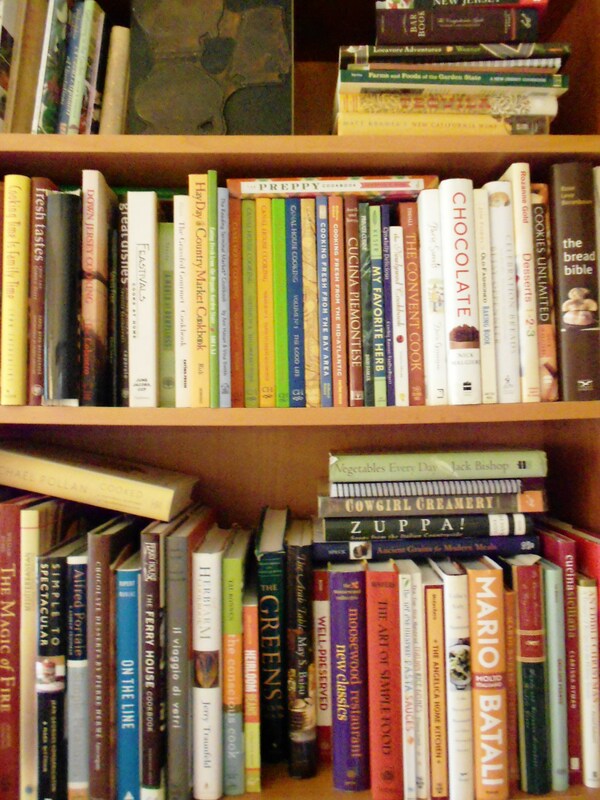 The iconic maroon books are widely available, including on Amazon and the Zagat site. 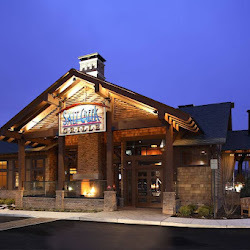 Since 2008 Salt Creek Grille in Forrestal Village on Route 1 in Princeton has mounted an annual and wine gala on behalf of a worthy local cause. This year’s gala, held on June 28, raised funds for Eden Autism Services. At the gala, selections from Salt Creek Grille’s recently unveiled “Fresh Reinvented” menu were served under the direction of Fabian Quiros, who took over as executive chef in January. 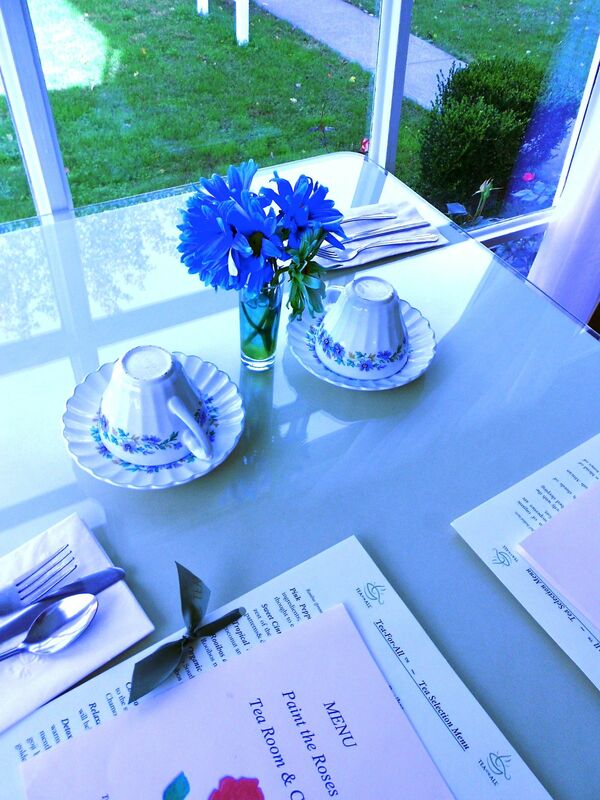 The “Fresh Reinvented” menu features dishes that are lighter and healthier than in the past. (These are in addition to such Salt Creek signature dishes as mesquite-grilled double-cut pork chop and bacon-wrapped stuffed shrimp.) The restaurant group has also increased its commitment to using organic and locally sourced ingredients, and among its current suppliers are Small World Coffee, Fresh Field (Jersey ketchup and relish), Crazy Steve’s Pickles & Salsa, Cherry Grove Farm (cheeses), Griggstown Farm (poultry and sausage), and Lucy’s Ravioli Kitchen. Fabian Quiros’ story is inspiring. He came to the US from Costa Rica in 2000, speaking no English. He started out as a dishwasher in the Rumson Salt Creek Grille, worked his way up to sous chef and now, at age 32, is executive chef. Along the way he met and married a Salt Creek Grille waitress, and the couple, who lives in Jackson, has a two-month-old daughter, Lucia. One dish on the restaurant’s new menu that is just now in season is Roasted Squash & Ricotta Ravioli, made with Lucy’s pasta, a plethora of fresh vegetables including corn, sugar snap peas, and baby tomatoes, and a pesto that employs three types of greenery. 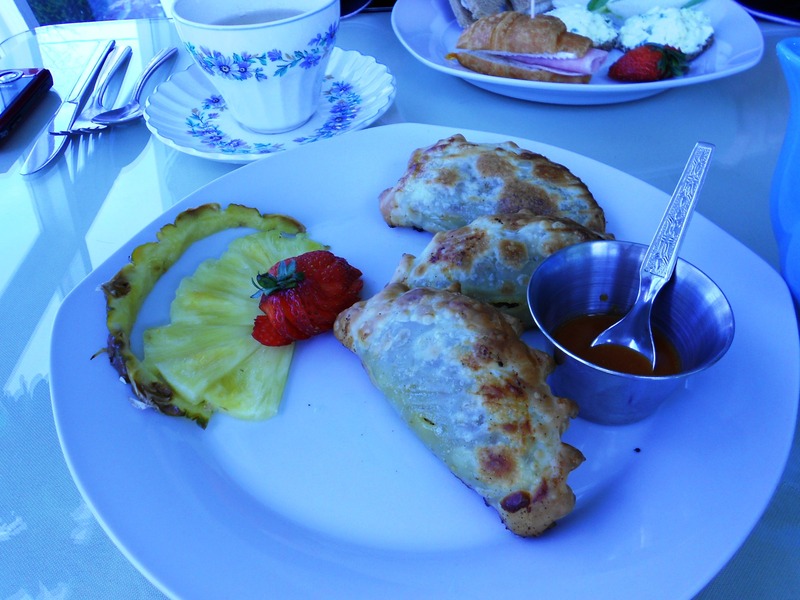 The pasta pillows come topped with a dollop of fresh tomato marmalade. Below is Quiros’ recipe for the marmalade – which I think would also be great over roasted salmon – as well as the pesto. This meticulous chef blanches the basil, spinach, and parsley and then squeezes them dry before pureeing, but I have to admit I got good results taking the lazy route – just dropping them au naturel into the blender. Bring a large pot of water to a rolling boil. 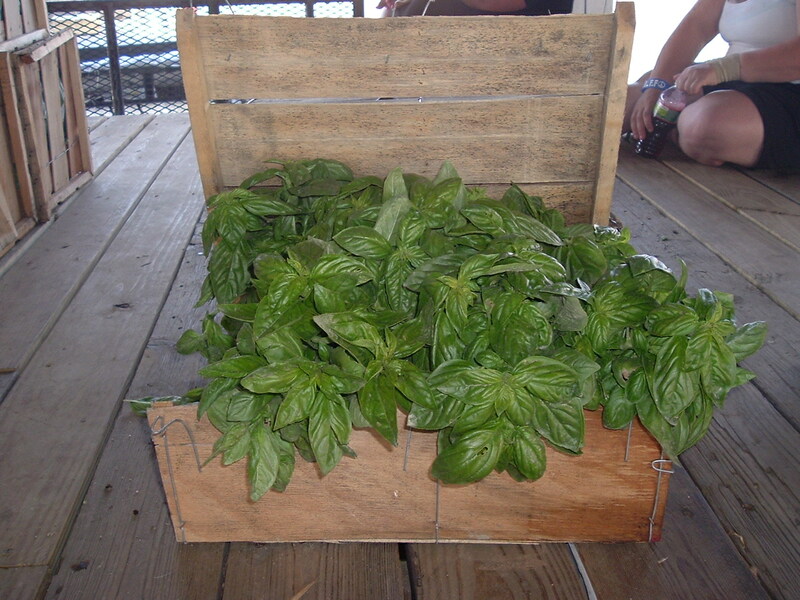 Season with salt and blanch the basil, baby spinach, and parsley for 15 seconds. Have a bowl of ice water at the ready. Remove the herbs from the boiling water and place in the ice bath for approximately 1 minute. Remove the herbs and squeeze out the excess water in a towel (the drier the better). In a blender, puree the herbs together with the oil, almonds, garlic, and cheese on high speed for approximately 1 minute. Season to taste with salt and pepper. Makes enough for 4 generous pasta servings. Combine all ingredients. Serve immediately or refrigerate until ready to use. 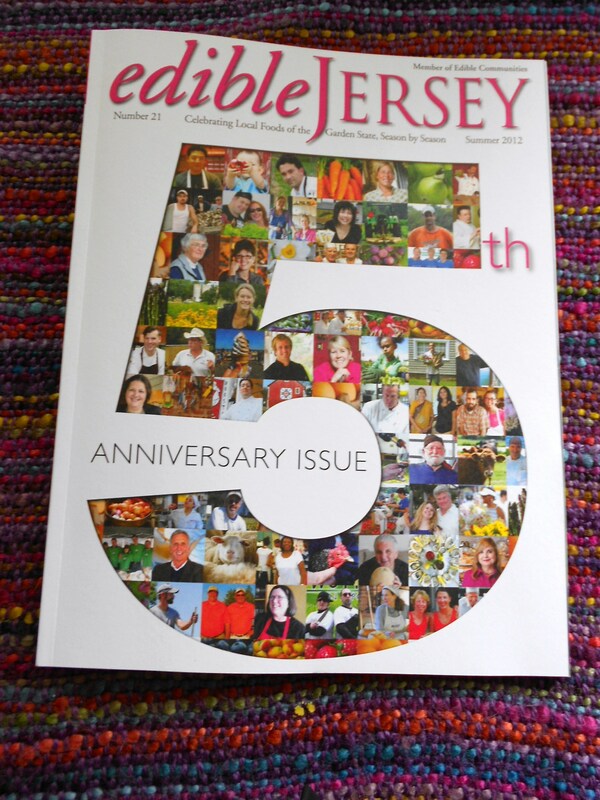 …to Edible Jersey magazine on its 5th anniversary. The anniversary issue (summer 2012) of this free gem is out, so be sure to pick it up at Whole Foods, your local farmers market, and elsewhere. 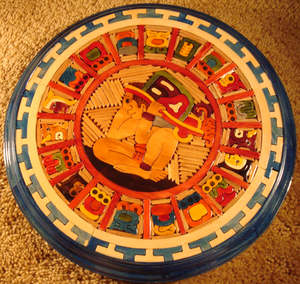 Click here for a complete list of where to find it. …and to The Bent Spoon on its 8t h anniversary. As I write this, the Princeton ice cream shop is featuring the original 12 flavors it opened with. As a restaurant reviewer I like nothing better than to discover and then share with you terrific little eateries. 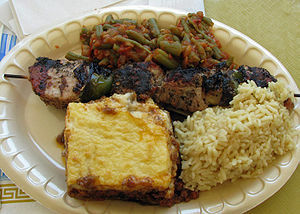 But I have to confess that I’m a little loath to tell you about the Greek food at this week’s festival at St. George Greek Orthodox Church in Hamilton, Mercer County. This church is by no means the only one to mount such fundraisers, it’s just that the homemade food prepared by their parishioners is simply the best. Hence it’s a popular and crowded event – and although these dedicated women and men make tons of food, I’d hate for it to run out before I get there. They offer gyros and souvlaki outdoors but the real treats are inside, where they serve full lunches and dinners to eat in or take out. This spring’s event runs from Thursday (night), May 17 through Sunday, May 20th. 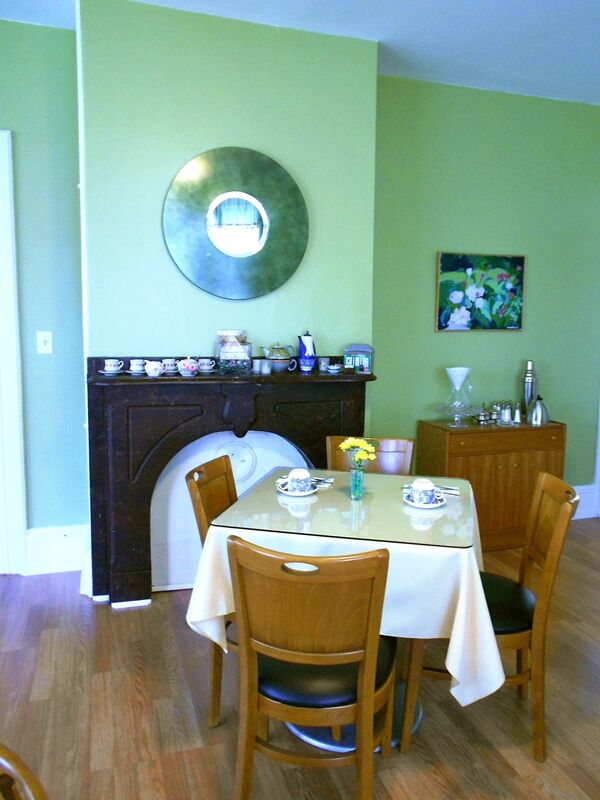 Check out the specifics here. Each year around this time I give a rundown on what’s new and happening at this season’s batch of farmers markets in my In the Kitchen column in the Princeton Packet. 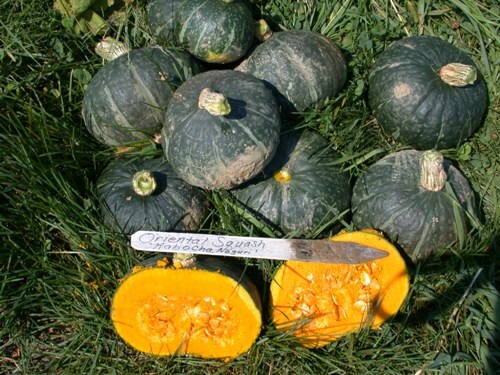 I repeat it mainly because many readers have told me that they clip it out and keep it posted on their fridge as a reference for the entire growing season. In the May 4th issue, I give the 411 on a dozen or so of my favorites. If you’ve been attending this event over the years – in Princeton or elsewhere around the state – you know the drill. Tastes of great restaurant food and great drink – wine, beer, and spirits. Nifty foodie-centric auction items. You know that 100% of your money goes to an excellent cause because nationally Taste of the Nation has raised more than $73 million to fight childhood hunger. This year’s event mixes things up a bit. Sure, there will still be impressive restaurants (Elements in Princeton and Michael White’s Due Mari in New Brunswick to name just two). But it will also be a celebration and reunion of sorts for the pioneers of our state’s locavore movement, whose stories are captured in the book Locavore Adventures. 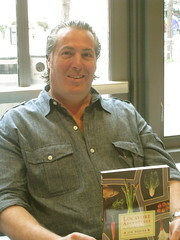 In it, chef Jim Weaver relates how he and a small group came to found one of the first Slow Food chapters in the US, and introduces readers to the wildly diverse cast of characters whose businesses have changed the way New Jerseyans and the entire New York metropolitan area eat. Among those with products on hand for tasting: Atlantic Cape Fisheries (which brought the Delaware Bay Oyster to national attention), The Bent Spoon, Griggstown Quail Farm, Hudson Valley Foie Gras, Mosefund Mangalitsa, Salumeria Biellese, and Zone 7. 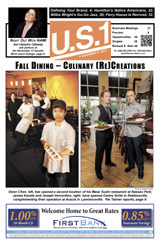 The Spring Dining Issue of US 1 is Out! I’ve had the privilege of writing the cover stories for US 1 newspaper’s spring and fall dining issues for years now and the latest issue has hit the newsstands. In it I profile the folks behind six Central New Jersey ethnic restaurants – a couple of which you’ve read about in this blog (Alps Bistro & Mercer Street Grill) the rest of which are new finds that I haven’t featured previously: Antimo’s Italian Kitchen, El Tule, Ploy Siam, and Tete. Bon appetit! Yep, you read that right: kale ice cream. An explanation is in order. My hometown is smack in the middle of a month-long celebration of that tasty green called Eat More Kale Princeton. 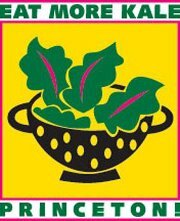 Lots of businesses and organizations – food-based and otherwise – have come up with fun and ingenious ways to promote kale, as you can read on the Facebook page. 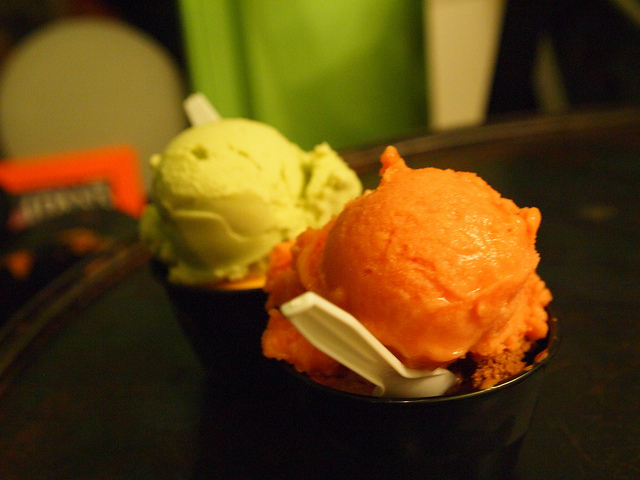 Granted, kale-flavored ice cream is particularly crazy. Crazy delicious that is. 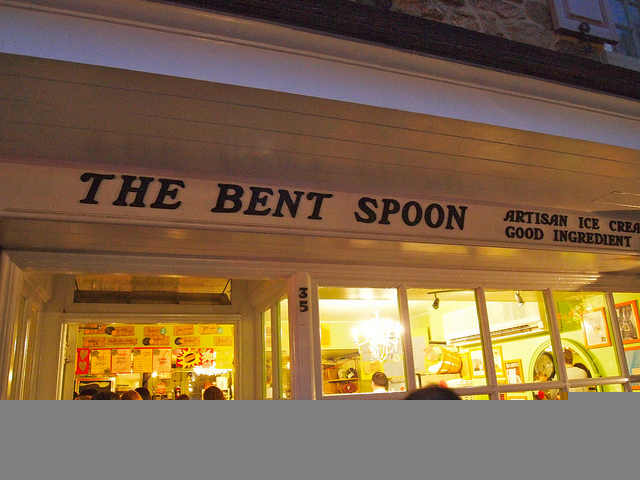 Ever on the forefront of all things zany, the folks at the bent spoon are featuring kale and organic kumquat ice cream. If you’re in Princeton during March, give it a whirl. 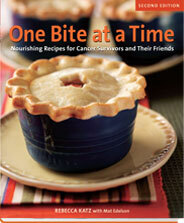 That’s how I think about this recipe from Rebecca Katz’s book, One Bite at a Time: Nourishing Recipes for People with Cancer, Survivors, and their Caregivers. Sadly, too many of us have a dear one who’s going through or has gone through the rigors (not to say downright horrors) of cancer treatment. I pulled out this recipe recently to make it for a good friend in just that situation. *Use as many organic ingredients as you can. *Be sure to use a stiff vegetable brush for scrubbing all the root vegetables so that they are as clean as can be without having to pare them. 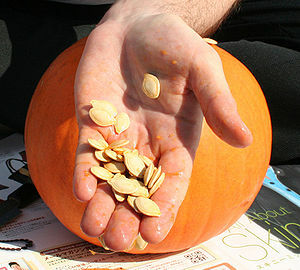 But if dirt is embedded, go ahead and peel it off. *Trim off all the root ends and tops, but thoroughly wash the greens of 3 of the carrots and add them to the stockpot. *Remove the outermost skins of the onions and garlic. *Carefully remove all blemishes and defects, like wilted leaves and potato eyes. *I consider Japanese yams and Garnet yams to be a must – substituting regular sweet potatoes results in a muddy, less flavorful broth. I found both yams at my local Whole Foods. Congrats to the winners of the 2011/12 Zagat NJ Restaurant Guide giveaway, Rachel Wieranga and Rita Haake!